Join us for “War Stops Here” - an all-day seminar, designed to support and encourage activism against the arms trade! 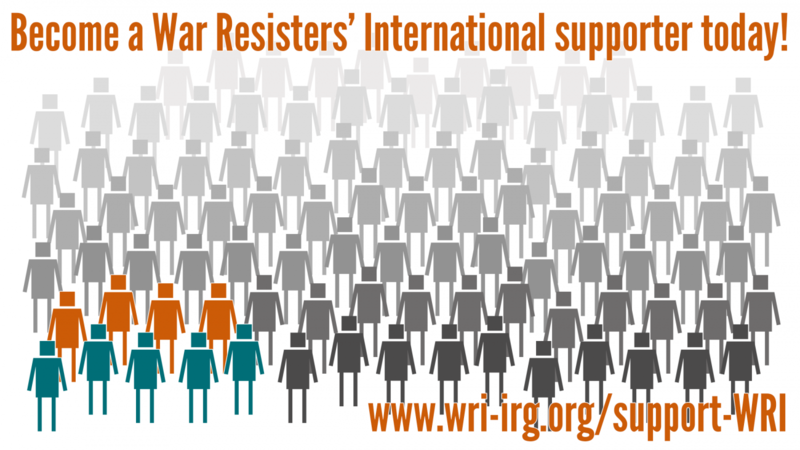 It'll be led by members of War Resisters' International's network of activists. We are happy to be hosting the seminar alongside our partners Campaign Against Arms Trade , Peace Pledge Union , Trident Ploughshares and The Fellowship of Reconciliation . In September 2017, thousands of arms dealers will descend on London to market their wares to militaries from across the globe. Defence and Security Equipment International (DSEI) is one of the biggest arms fairs in the world, and it takes place in east London every two years, exporting death and destruction around the world. But resistance to the arms trade is as international as their business! As part of Stop The Arms Fair week of action against DSEI, War Resisters' International are bringing activists from across the world to London, including those from countries where the repercussions of the weapons marketed at DSEI will be felt, to share their work resisting the arms trade. This is a great chance to hear from antimilitarist activists from countries including South Sudan, Nepal, Germany, Turkey and South Korea. We will be including talks and workshops on campaign strategy, nonviolent direct action, creative campaigning, and using legal mechanisms to disrupt the flow of arms to conflict zones. We are planning to hold the seminar in an outdoor location very close to the venue for DSEI, but we'll have a backup option too. The seminar will be free to take part in, and we're thankful to everyone who donated to our crowdfunder to help make it possible! Our opening session will focus on hearing from war resisters' from around the world, and first-hand accounts of the impact of the arms trade. We will be joined by activists from the USA, South Sudan, Germany, Israel, Turkey, and South Korea among others.